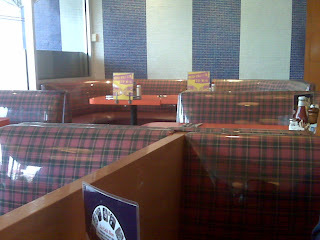 Sitting at Swingers in Santa Monica, where the diner scene from Knocked Up was filmed. We're sitting in the same booth they were in. Yummy!